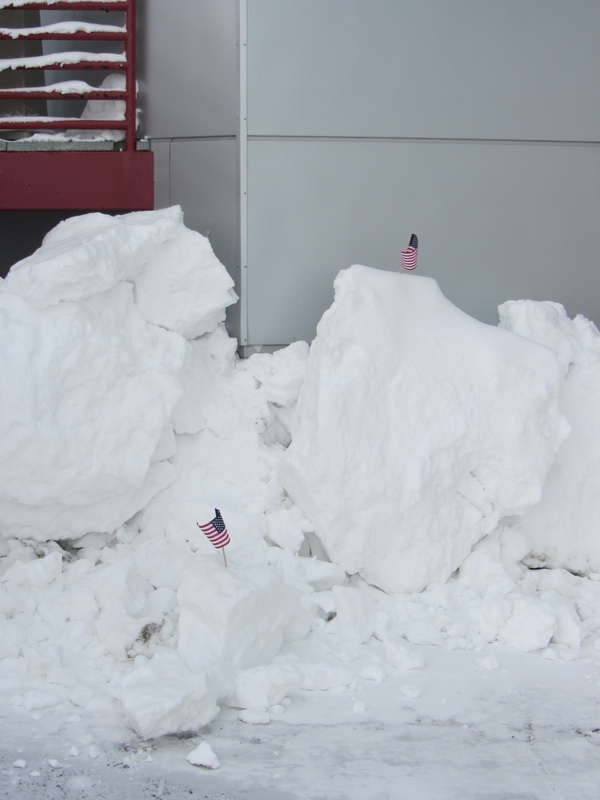 Who put them there, or why, we do not know. But there they were and are. Last night, hoarfrost started building up on things. 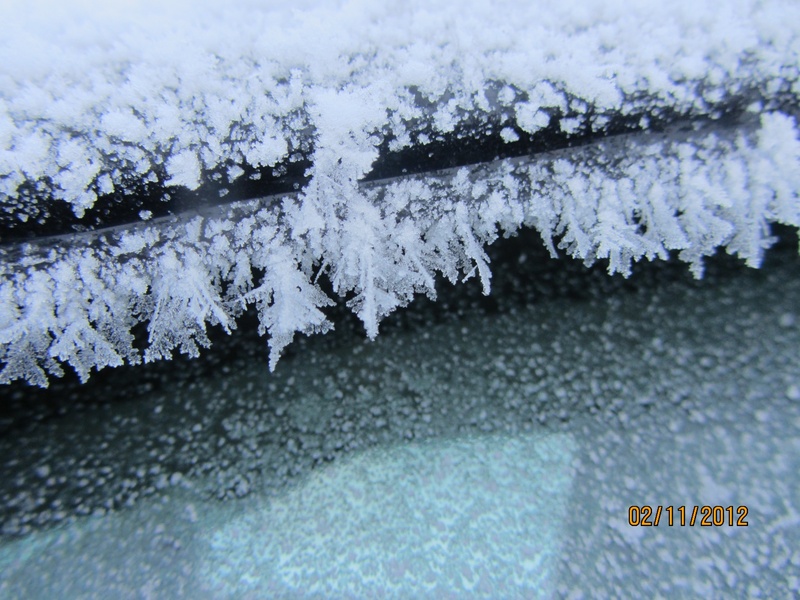 By this afternoon, my car was covered in it. Hoarfrost can be amazing, with long fern-like feathers growing off of surfaces. 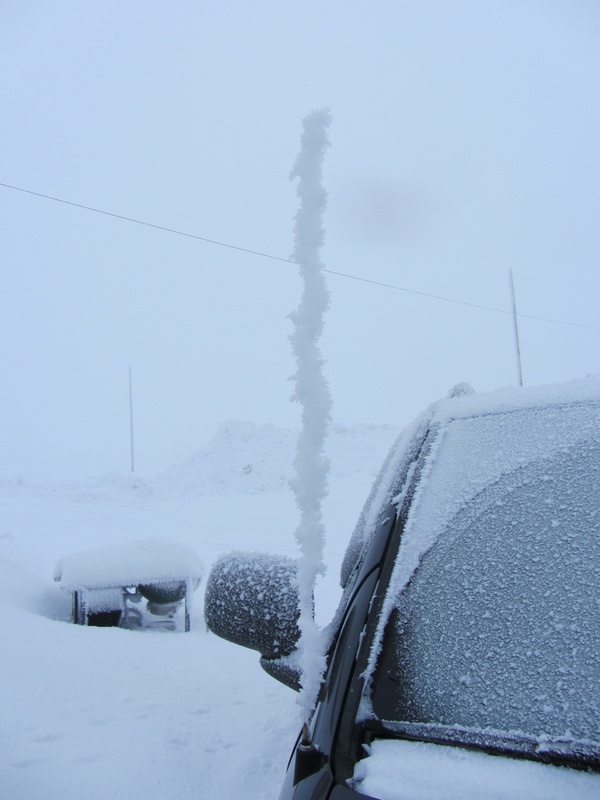 The best was the spiral effect the frost that grew on the antenna made. 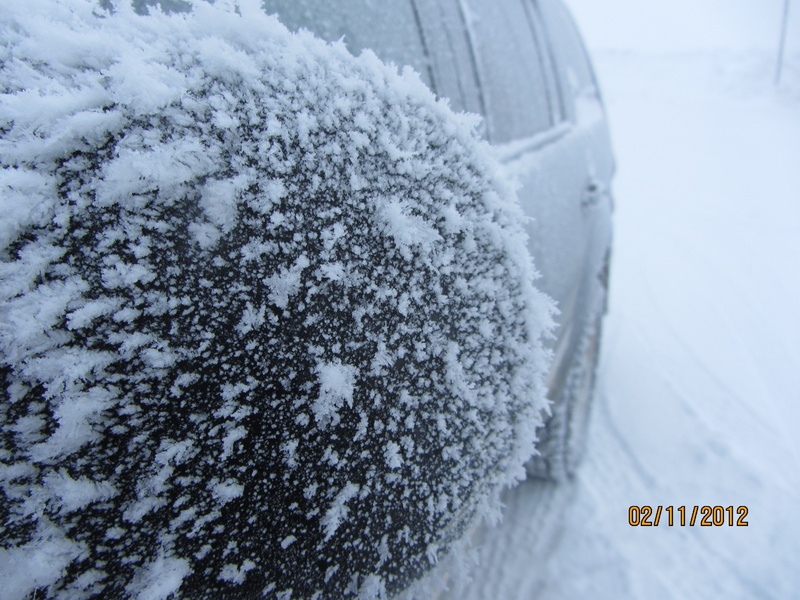 Posted on February 11, 2012 by Anne JensenPosted in Alaska, Arctic, Barrow, environmentTagged Arctic, Barrow, frost, hoarfrost, weather. Wow. 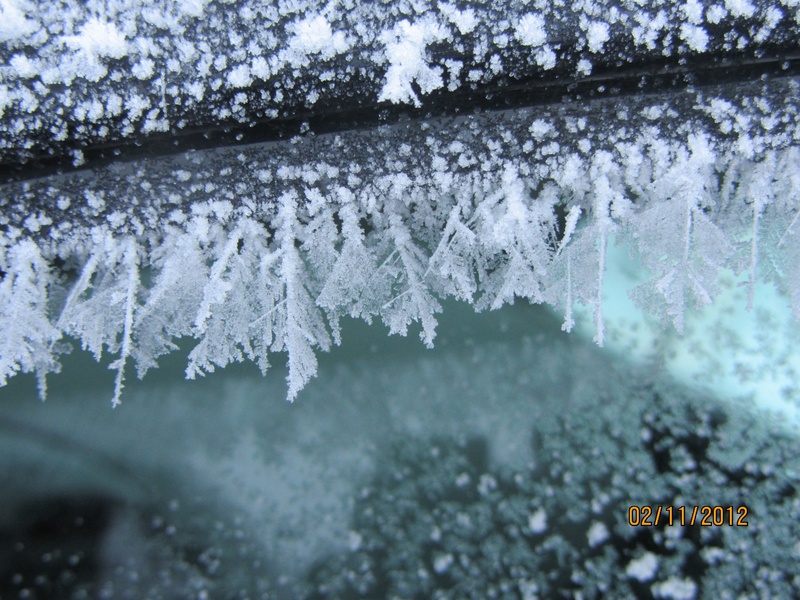 That hoarfrost is beautiful—in a “I’m glad I’m not actually there” kind of way! We just had our coldest night of the winter. It was 19F when I got up this morning. I cannot imagine working (or living) in such a climate. I can, however, imagine a number of novels (and genres) being based on it! The problem with hoarfrost is that it must be foggy for it to happen. That means gray, dreary days. 😦 the flags are cool, sounds like a mystery to be solved! 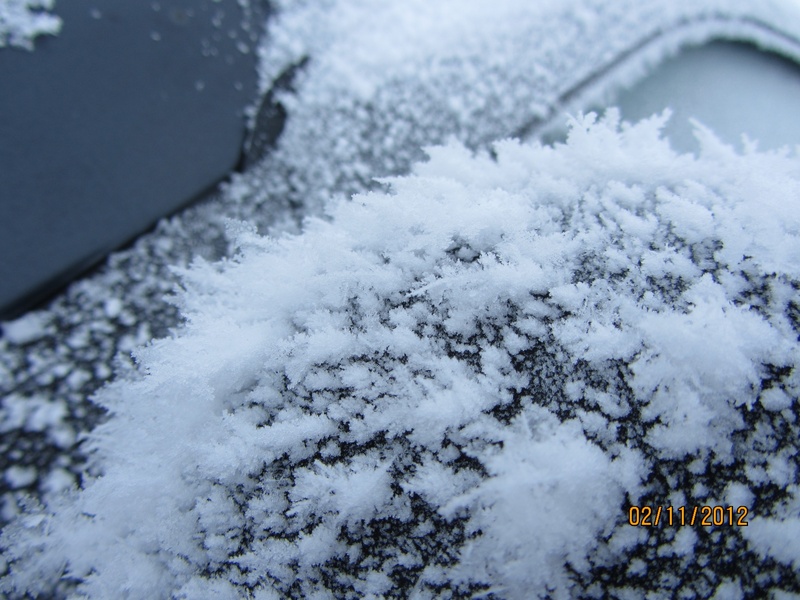 Great photos of the hoar frost! This material is based in part upon work supported by the National Science Foundation under Grants No. 9321112, 0341914, 0518725, 0085248, 0724676, 0726253, 1151964, 1240989 and 1355975. 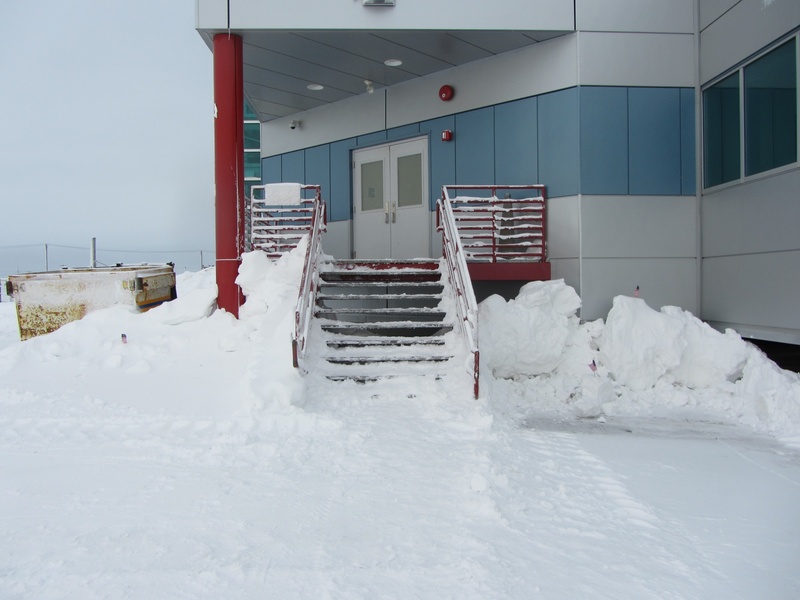 The North Slope Borough has also provided funding for some of the work on which this material is based. 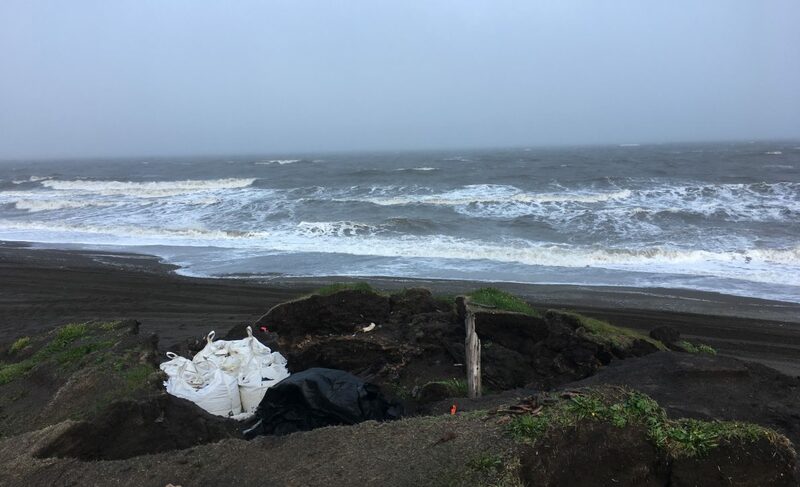 Any opinions, findings, and conclusions or recommendations expressed in this material are those of the author and do not necessarily reflect the views of the National Science Foundation or the North Slope Borough. This work by Anne M. Jensen is licensed under a Creative Commons Attribution-ShareAlike 4.0 International License.